So you’ve spent all day cooking for your fourth of July gathering or brought home BBQ leftovers and don’t want to eat the same thing? I hear you. I don’t like eating the same thing twice in a row, and love to find ways to transform any meals into new bites. Here are a few ideas to get your mouth watering, and bring some new flavors to the table. Swap out your BBQ leftovers from the fourth, top with leftover coleslaw/grilled veggies/pickled goodies with a shot of extra BBQ sauce, sour cream (mix in some chipotle spice/adobo sauce/avocado/lime if you like) and pile on some tortilla chips/taco shells/tostadas/bread/lettuce (use what you have and crave) and enjoy! Recipe Inspiration BBQ Brisket Tacos. Shortcut to say yum! Think outside of the box and bust out the waffle iron for the outer shell. Place some semi-thawed tater tots (use the microwave for this if you’re short on time) on the greased, waffle iron, and and cook until crispy! Use tater’fles as the bread for your BBQ sammie. Growin g up in Canada during the renaissance of poutine, especially after a later night out, left me a constant craving for this delicious dish. 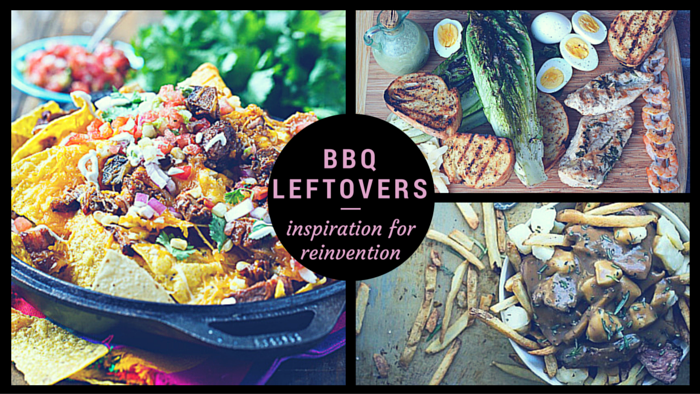 Don’t let that delicious BBQ leftover meat go to waste. 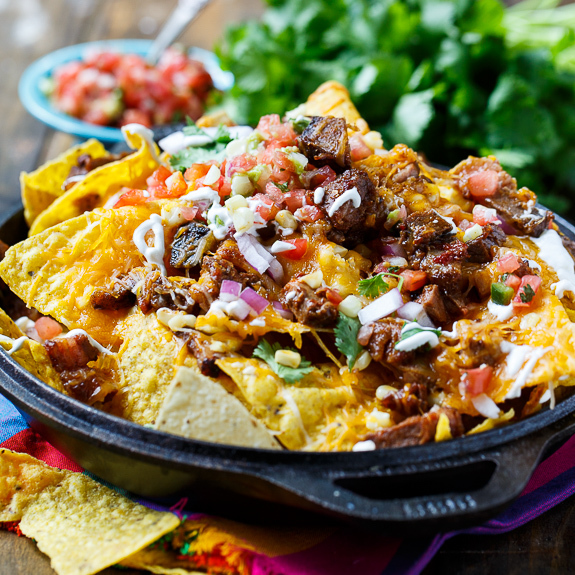 Reheat it, use some frozen or fresh fries (even tots), some cheese and whatever gravy you’re up for and you have the second most perfect dish ever created (nachos being first). 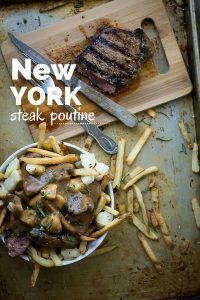 Recipe Inspiration Steak Poutine. Keep cool in the kitchen, grab some dough (either homemade or from the store), and get grillin’. Spread over oiled cookie sheet and place on pre-heated grill. Once firm enough, remove, flip, and top with yesterday’s bbq leftovers, chicken in this case, but use what you have. Top with BBQ sauce, onions, and cheese. Or skip the BBQ sauce, and use some of those leftover baked beans for a tasty sauce replacement. For more bread options, use some naan, pitas or tortillas work too.Place on grill without sheet for maximum grill flavor or leave on sheet. Garnish with cilantro. 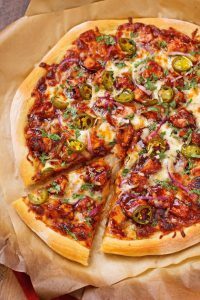 Recipe inspiration BBQ ChickenPizza. Shortcut to say yum! Lighten up with this low carb, paleo friendly crust. I’d recommend steaming it first, then drying. Also, be sure to dry the cauliflower as much as possible. If you have time, steam and chop the cauliflower the day before, dry, and then store in an open container in the fridge to further dry out before mixing the dough. Recipe inspiration Cauliflower Pizza Crust. Top rom aine – grill if you desire, or the lettuce of your choice, with BBQ leftover thinly sliced steak, shredded chicken, shrimp, or salmon. Dress with equal parts olive oil and lemon juice; season with salt and pepper or go for a traditional caesar dressing. To spice it up add sliced avocados, hardboiled eggs, or bacon. Leftover corn or veggies, why not use those too? 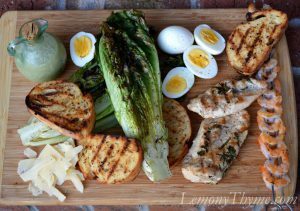 Recipe inspiration Grilled Caesar Salad. The possibilities are truly endless to make good use of those delicious grilled alternatives. If you’ve used up all your proteins, but still have some buns and coleslaw leftover, heat up some of the kids chicken nuggets and enjoy some fried chicken sliders – add some BBQ or hot sauce or jalapenos for some extra kick. Enjoy and remember to say yum! Hungry for more? Never miss a bite and join the email list for delicious meal time and me time inspiration! copyright © say yum!™ 2005-2019. all rights reserved. 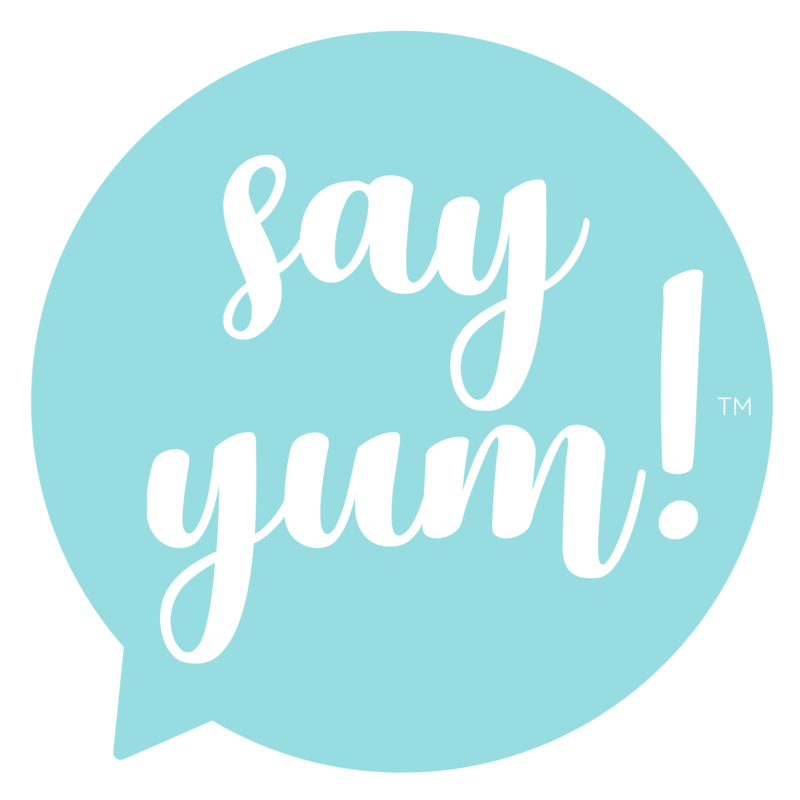 say yum! is a participant in the Amazon Services LLC Associates Program, an affiliate advertising program designed to provide a means for sites to earn advertising fees by advertising and linking to Amazon.com. View say yum’s disclosure policy for more information. We respect your privacy. View our policy here. The information on sayyum.com is intended for informational and educational purposes only. Any statements made on this website are not intended to diagnose, cure, treat or prevent any disease or illness. Please consult a healthcare practitioner before making changes to your diet.